Read more about Grace & Frankie and Lily's Emmy Award nomination for Outstanding Lead Actress in a Comedy Series in 2015. This original Netflix series follows Grace (Jane Fonda), a retired cosmetics mogul, and Frankie (Lily Tomlin), a hippie art teacher, whose husbands, Robert (Martin Sheen) and Sol (Sam Waterston) have a successful 20-year law partnership specializing in divorce. Grace and Frankie’s lives are turned upside down when Robert and Sol announce that they are in love with each other and are leaving their wives. Now, the women, who have never particularly liked each other, are forced to live together and support each other as they navigate the next chapter of their lives. 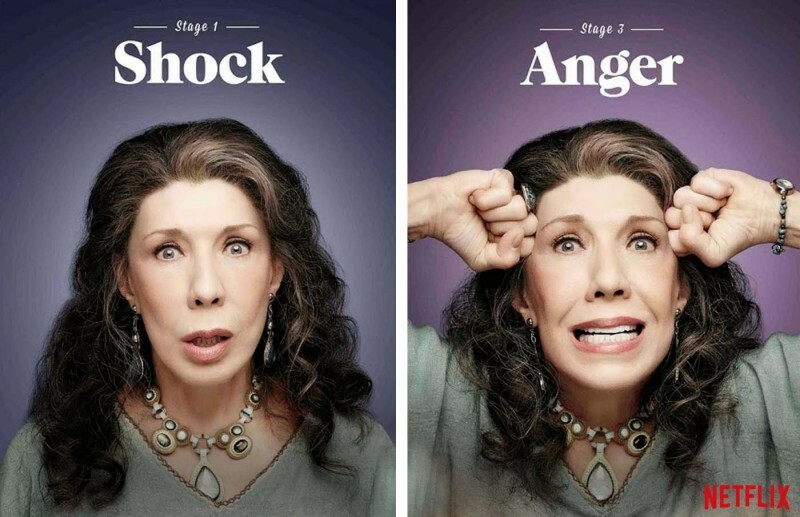 2015 Outstanding Lead Actress in a Comedy Series – Lily Tomlin, as Frankie. This was her 22nd Emmy nomination with five previous wins.